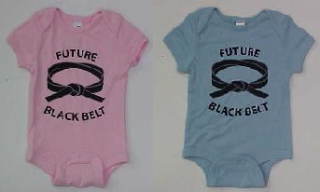 Future Black Belt Onesie - Academy Of Karate - Martial Arts Supply Inc.
Real nice quality on these onesie’s, has 3 snap closure. 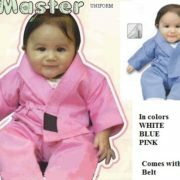 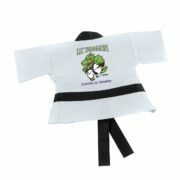 Great for that future Black Belt! 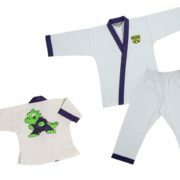 Available in blue or pink size 3-6 months or 6-12 months.